Music and poetry are very closely related. Poetry can serve as the voice to the melody, giving the words a different effect on the audience. The past and present are also closely linked. In many ways the past is the foundation for what occurs in the present. 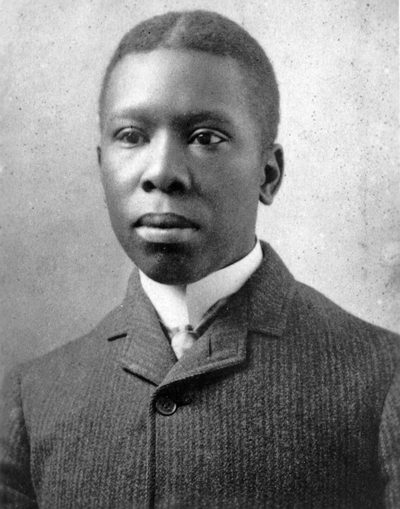 How are Paul Laurence Dunbar, Maya Angelou and Alicia Keys linked? How have they influenced each other's work? What role does rhyme play in lyrical poetry? Does the human desire to be free change over time? Explain. Listen to a sample of Alicia Keys' song: Caged Bird. Read the lyrics to Alicia's song as we listen to the entire song in class. Listen to Buck Shot Le Fonque's version of Maya Angelou's "I Know Why The Caged Bird Sings," in class as we read her poem together. What symbol remains constant throughout the writing of all three artists? Are you a caged bird? The goal for this activity is to have students link the past with the present by comparing and contrasting the works of three different artists. Upon completion of this project, students will be encouraged to examine their own life struggles and come to their own definition of freedom. The following standards are met in completion with this project: 10th grade Literary Response and Analysis, 3.5 and 3.12 and Speaking Applications, 2.0. Just as Maya Angelou was influenced by Dunbar and Alicia Keys was influenced by Angelou, students should reflect on who has influenced their lives and how they've been affected by such experiences. What is the historical significance of each piece? What underlying themes are constant throughout each piece? Which symbols appear in the works of all three artists? 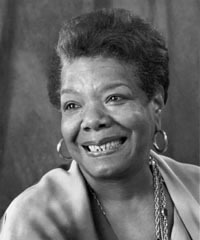 Having read the works of Dunbar and Angelou as well as having listened to Keys' song "Caged Bird", students may have further questions that delve more specifically into the topics posed by the artists. How is African-American history tracked throughout the works? What does a caged bird represent?How does each artist identify with the caged bird? Compare and contrast the different themes prevalent in each work. Glossary for Dunbar's poem, "Sympathy:"
Students will use Inspiration to create a comparison web that will guide students' interpretations of similarities and differences between the three works. Interpretations on the comparison web will change as new information is discovered. From their inquiry, students will choose from the following three options to present to the class on "Open Mic Night." All three options must include a connection with one of the three artists. The final piece must also include at least two themes prevalent in the works read and relate them to present-day issues. Option 1 - write an original poem using the style of Dunbar, Angelou or Keys incorporating the requirements listed above. Option 2 - same as above, but also incorporating instrumental music as poem is read. What effects has each artists' work had on society? Have the artists' works changed perspectives on racial relationships? What are significant aspects about each artist's life, career, and/or character? What have you learned from the lives and works of the artists that has "opened your eyes"? How has this new knowledge/perspective affected you, changed who you are, or what you want to become?